We have just added UEWA to our growing list of hardware and software certifications. 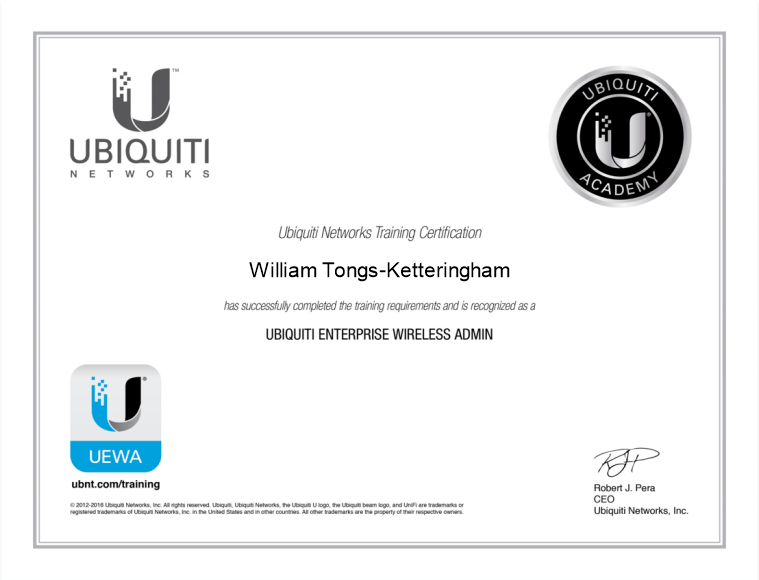 Ubiquiti Enterprise Wireless Admin or, UEWA for short is a two-day, in-class training course that teaches the most important concepts in Enterprise Wireless Networking. Course materials and lab activities use the latest UniFi Controller and 802.11ac, 2nd-Gen UAP hardware, with special emphasis on how to design, build, and manage WLANs. With this certification, we can offer our customers peace of mind, knowing that we have the skills to setup and maintain their managed networks to the highest standards.